Enjoy the best inspirational, motivational, positive, funny and famous quotes by Anne of Austria. Use words and picture quotations to push forward and inspire you keep going in life! 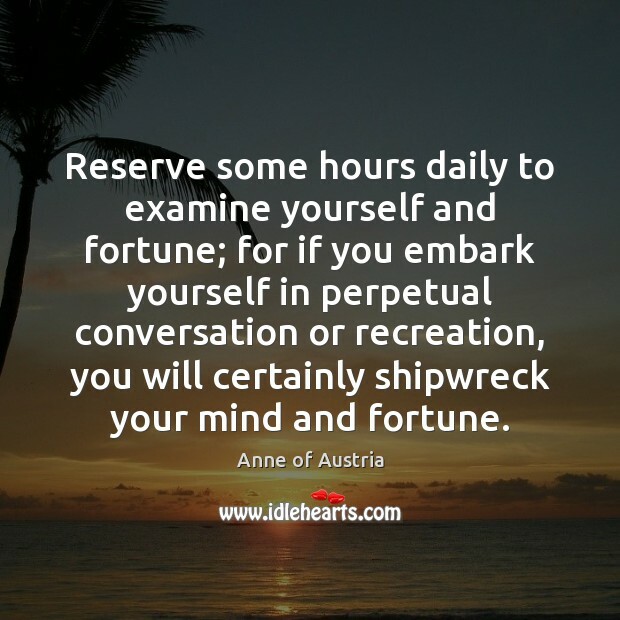 Reserve some hours daily to examine yourself and fortune; for if you embark yourself in perpetual conversation or recreation, you will certainly shipwreck your mind and fortune. 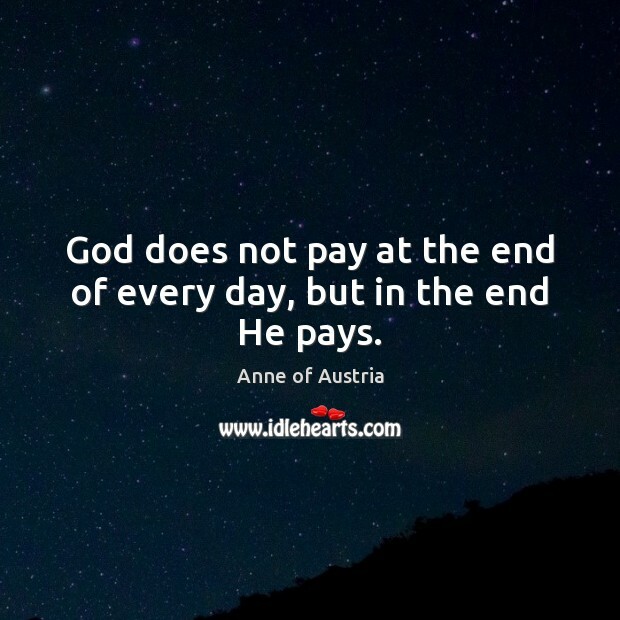 God does not pay at the end of every day, but in the end He pays.